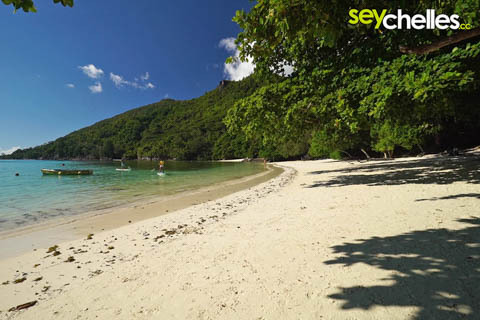 The area between Port Glaud and Port Launay has changed from an unspoilt quiet place to a small touristic hot spot during the last years (of course for Seychelles only - it´s still a really calm beach compared to other places). Whether this development is positive is not for us to decide. 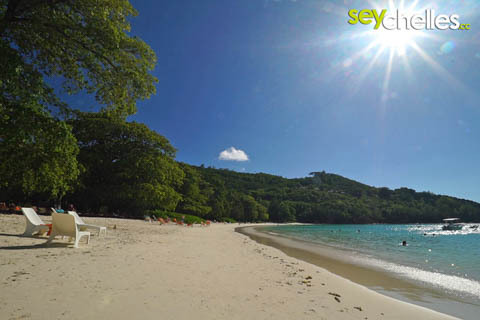 As you can see on our old pictures from 2003 of Port Launay we´ve been the only people on the beach. Now there is the beautiful Constance Ephelia Resort between the two beaches of Port Glaud and Port Launay. The coin always has two sides, many tourists want to see untouched nature and have at best a beach for their own, but as we travel we all are tourists who want to stay in beautiful accommodations with hot water and electricity. So we are all responsible for the change of not only the Seychelles. Be aware of your responsibility, no matter what kind of resort you are staying at. Some people think that wasting water on the Seychelles is no real problem because it rains so often, and they pay for it anyway because of the high prices of some hotels. But remember that you can never pay nature. Wasting water, electricity and other resources is nothing that you can make unchanged. 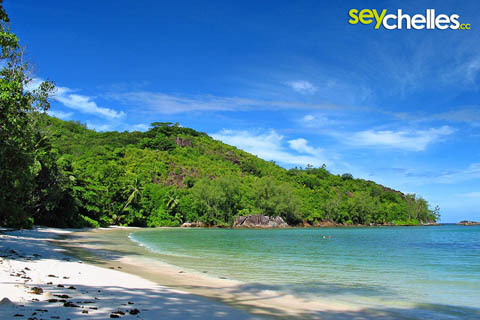 And besides - the Seychelles do have seasons where water supply is a problem. Not so much on Mahe, but on the other islands (read more about it here). To be honest, at first sight, we were a little shocked to see Port Launay „crowded“ with tourists after we´ve had an untouched beach in our memories. But as said the coin always has two sides. Locals have to earn money and find jobs and many tourists are looking for a comfortable hotel with many beach activities. Let's hope that the Seychelles will keep the balance between nature and tourism on their way of further touristic development. So far they have done a comparatively good job. You can help them by choosing your resort wisely and keeping your footprints small.